4k00:09Closeup of a beautiful, black, adult Newfoundland dog, lying down and sucking on a white comfort blanket, gripped between her paws. 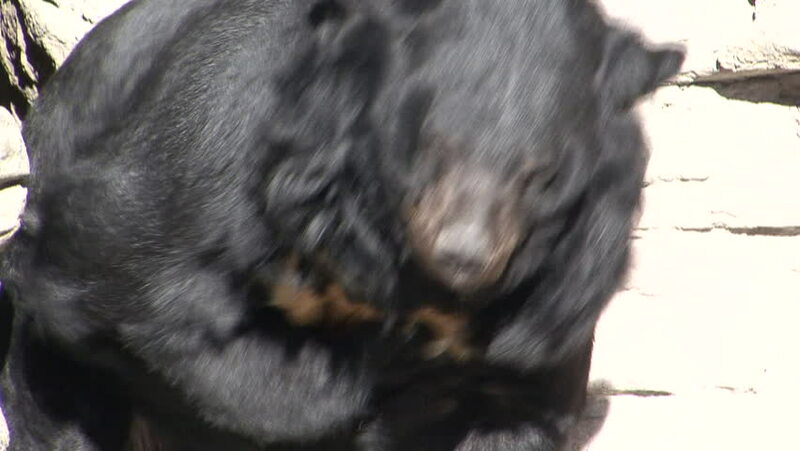 hd00:30A lazy Asiatic or Himalayan black bear close up, Ursus thibetanus, is lying in sand hollow on his back and picking his teeth with claws. Omnivorous beast, calm and peaceful animal. 4k00:21Close up cute silver cat cleaning itself by licking its hair.